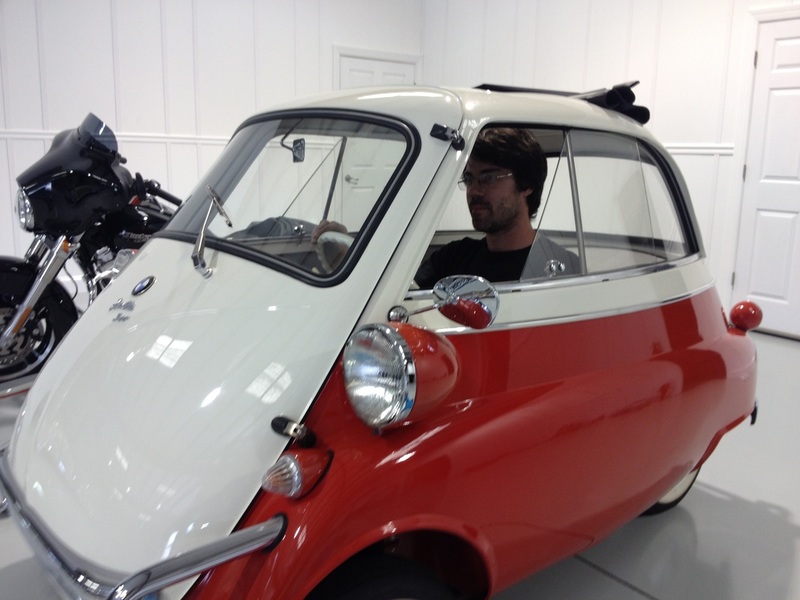 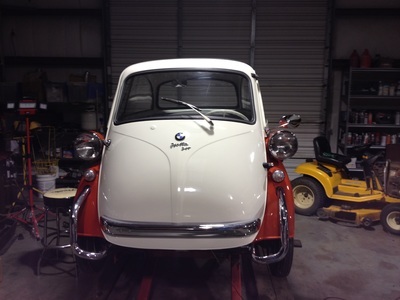 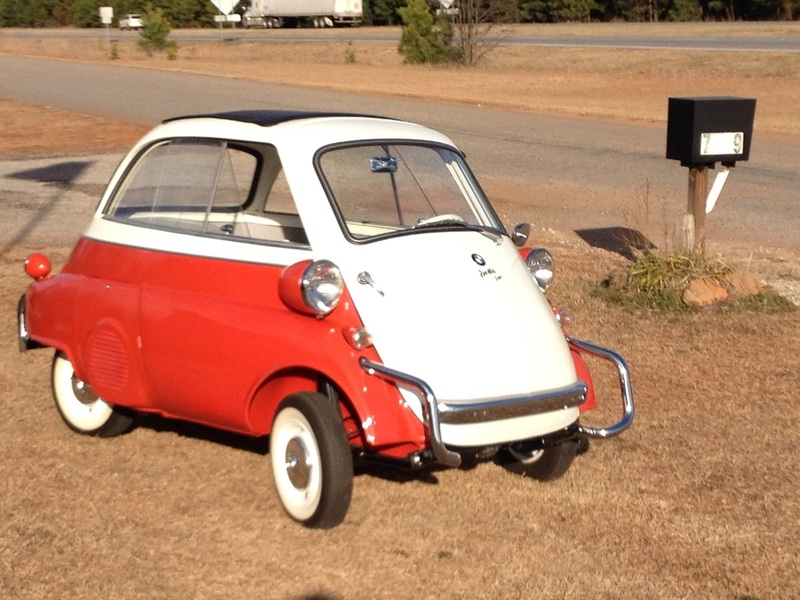 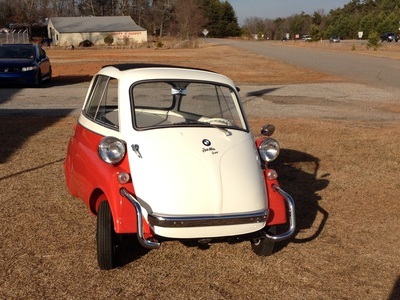 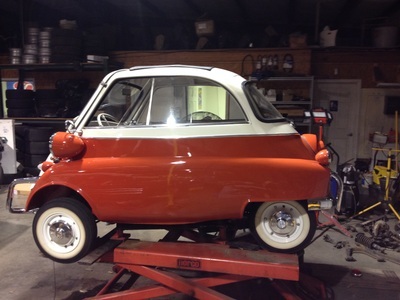 The BMW Isetta is what is classified as a "microcar". They're also known as cyclecars or bubblecars. 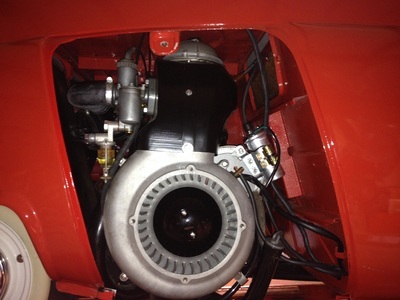 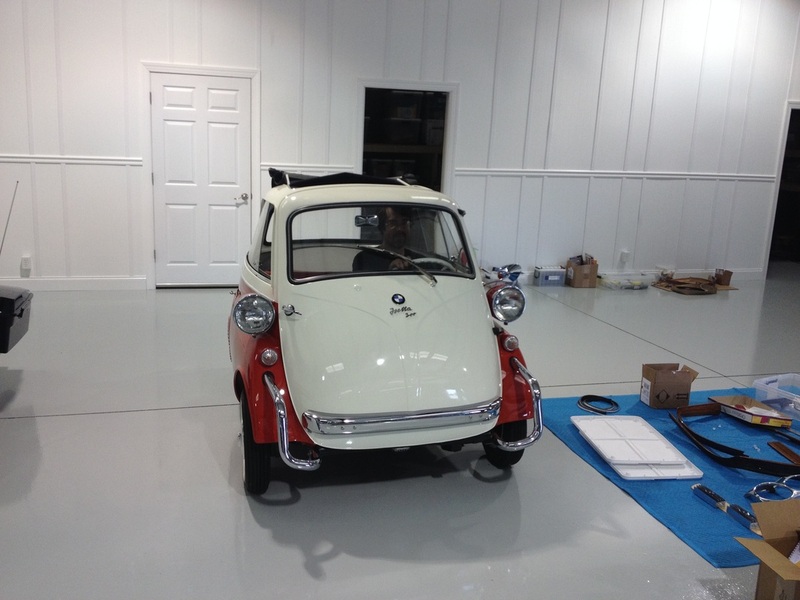 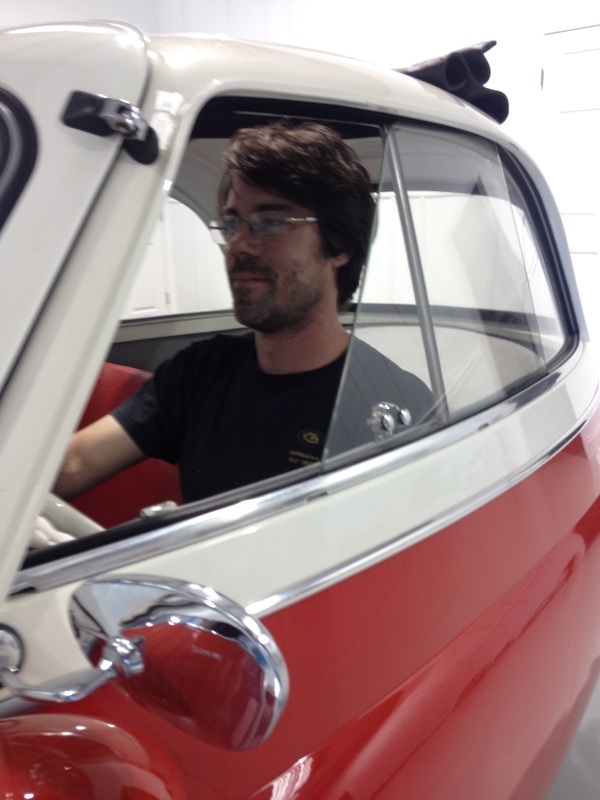 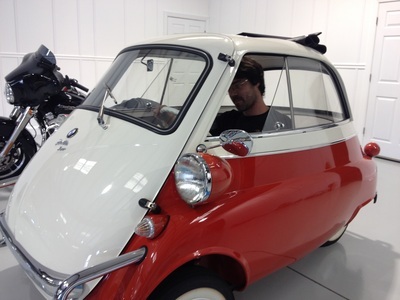 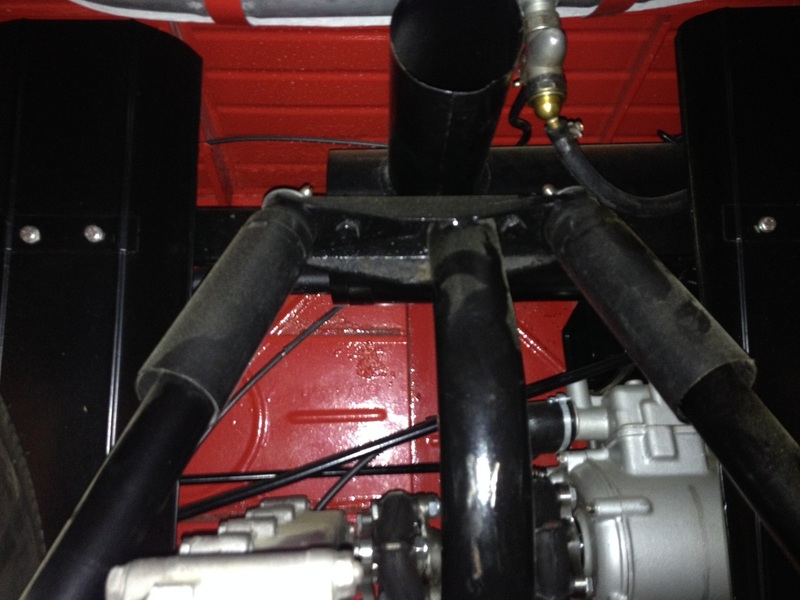 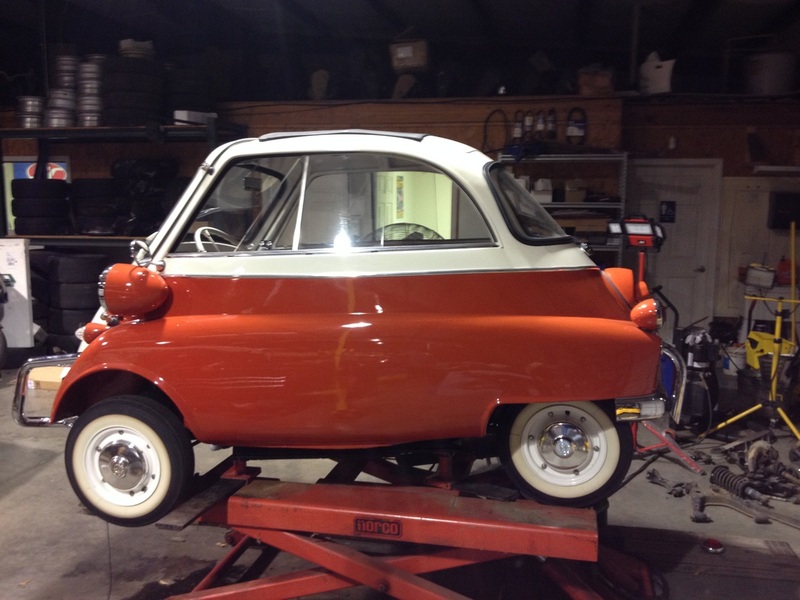 The Isetta 300 is based around a 298cc single cylinder BMW motorcycle engine. 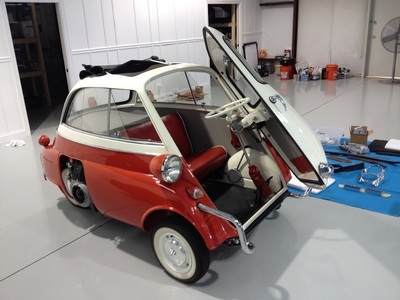 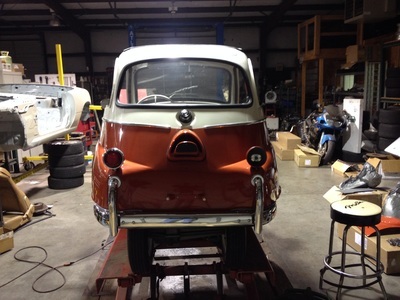 Some other interesting features of this vehicle are the fact that it has four wheels (many micro cars had three), the front of the car serves as the only door, and a top speed of approximately only 53mph. 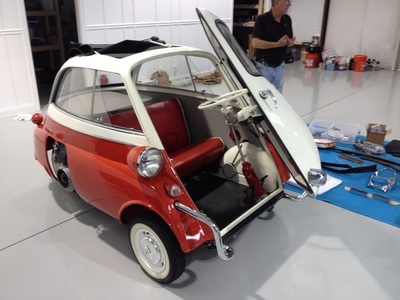 This was a very nicely restored example that came by the shop for a "going over" before being listed for sale. 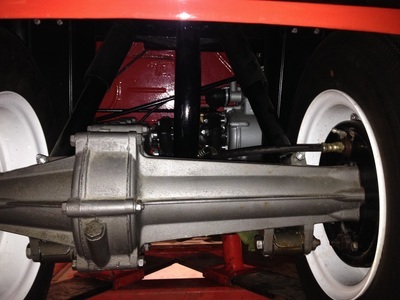 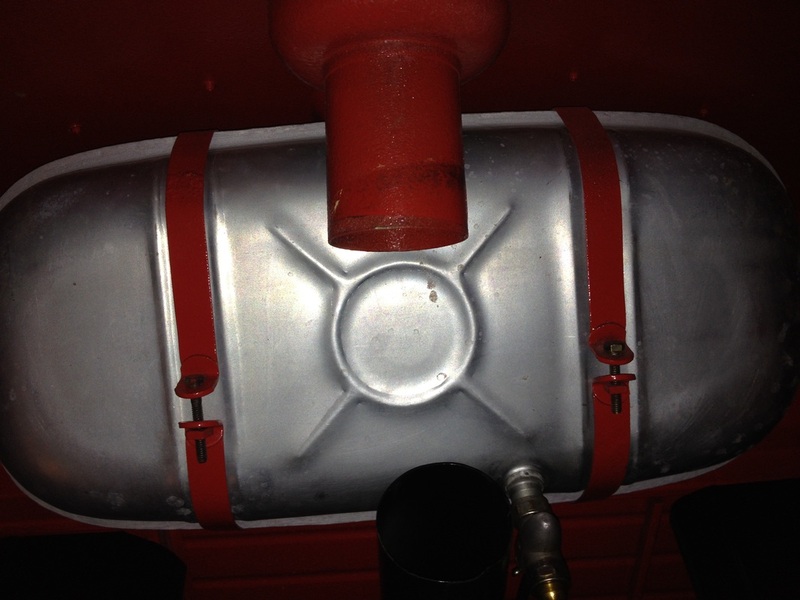 It had been sitting for a little while, and it was necessary to remove, clean, and rebuild the carburetor. 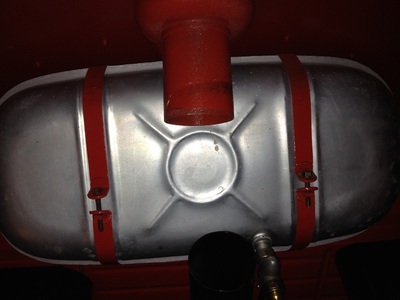 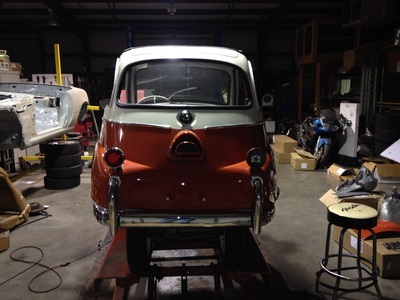 After that, replacing a switch, fresh fluids, some setting adjustments, some refreshed chrome pieces, and a few other odds and ends, the car was quickly back on the road. 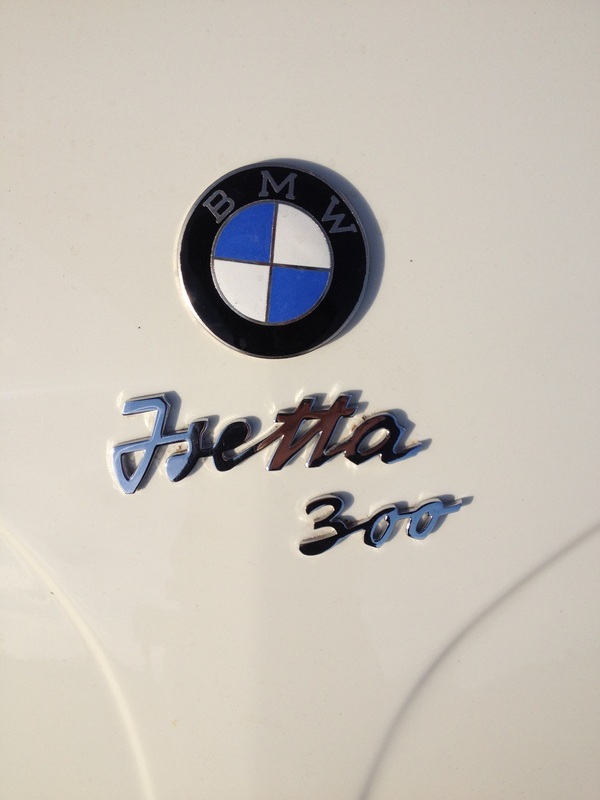 This BMW is an unusual piece of history, and it was our pleasure to work on it and share some pictures with others.